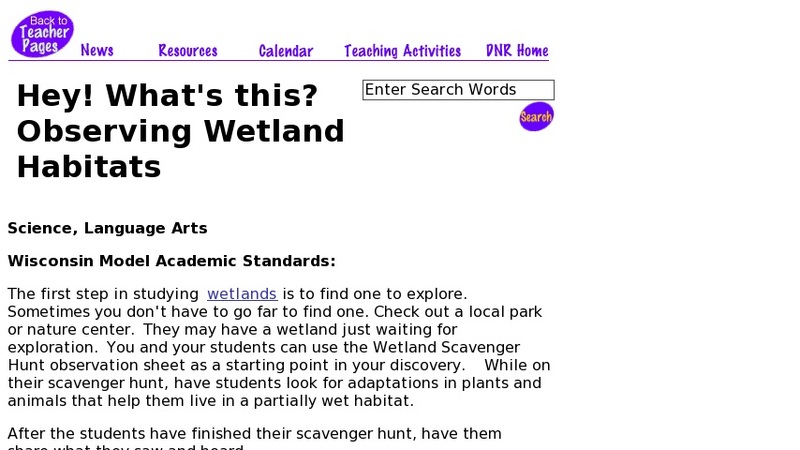 Observing Wetland Habitats contains tips on finding wetlands to explore and wetland scavenger hunt observation sheets that can be used as a starting point for discovery. While on their scavenger hunt, students can look for adaptations in plants and animals that help them live in a partially wet habitat. After the students have finished their scavenger hunt, they can share what they've seen and heard.